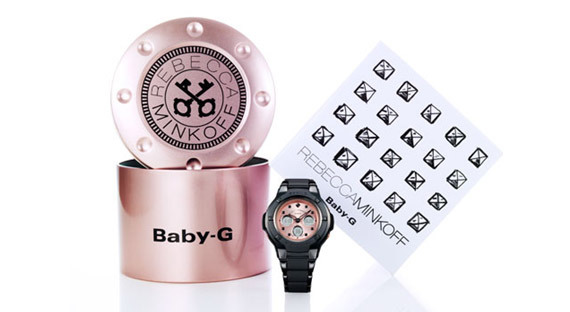 Rebecca Minkoff has teamed up with the Baby-G to create a timepiece exuding the “downtown romantic” aesthetic that Minkoff has come to be known for. I heart Rebecca Minkoff and her collabs are always so cool and edgy. This collaboration marks her first watch, unlike the typical Baby-G watch bands, Minkoff’s bracelet is made of black ion plated and matte black stainless steel with resin. 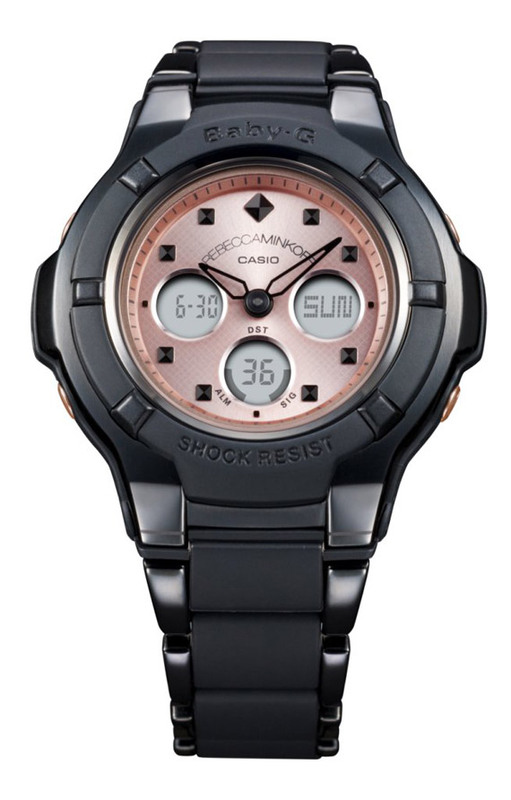 For contrasting of the black, the dial is pink champagne to give the timepiece a classic, romantic touch. The watch retail for $200. Cute!